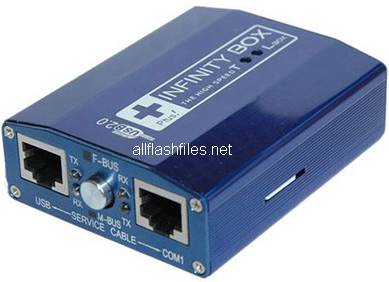 Infinity box is free flashing box for your mobile which allows you to flash all those phone which can support for usb data cable. You have must its latest setup because it will better support instead of old version. Before flashing you will need to download latest flash your cell phone first and put flash files in a folder because you will find it with your flashing box easily. Some times you are facing difficulty during flashing or downloading latest flash files of your phone but we are trying to provide you easy, free and official site link. For flashing your phone some things are very needed to have every flasher. You can flash with this box bellow handsets. Nokia 6500s, Nokia 6700, Nokia 6300, Nokia 2700, Nokia 2690, Nokia x2-00, Nokia c1, Nokia 5233, Nokia 5130, Nokia 2730, Nokia 5800, Nokia 3110, Nokia N92, Nokia N72 etc. You can use different tools and boxes for flashing. You can download the latest setup file of infinity box from below links.